– Regular participation in the selection process of PPGOceano. The selection is annual and takes place in the second semester, between the months of September and October. 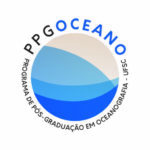 – PEC- PG (Programa de Estudantes Convênio de Pós-Graduação): A program dedicated to students of countries that collaborate with Brazil in Educational, Cultural or Science and Technology Cooperation Agreements. – Applicants holding scholarships awarded by funding agencies from their home country may enter at any time at PPGOceano. Just contact the possible supervisor and forward the same documents as required in the public call for the selection process.